Enjoy Lakefront Living & Lifestyle of the Lake Forest Keys & Sun & Sail Club. 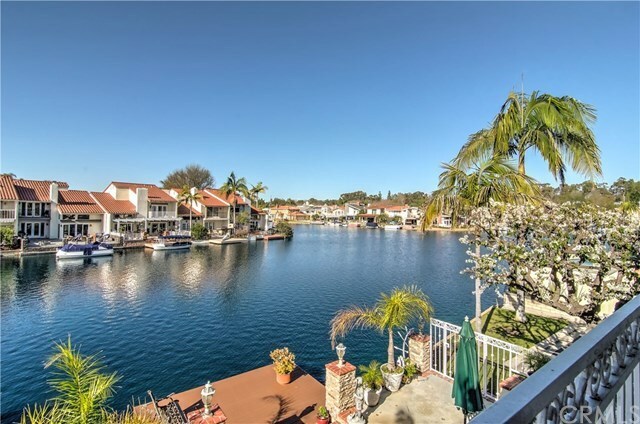 Excellent End Location with Private Boat Dock & Views of the main channel. Downstairs features a spacious downstairs bedroom & bath with French Doors leading to the large courtyard! Plantation Shutters, throughout! Master Bath features Designer Mirrors, Recessed Lighting & LARGE Shower with Custom Tile. Lake View Kitchen updated to include Granite Counter Tops & Stainless Steel appliances! Entertain in Style! Near the Irvine Spectrum, Freeways & Toll Roads, approx.6.5 mi.to Laguna Beach. No Mello-Roos & Low Tax Rate. Best location on the street! Get Here in time for the best 4th of July show in Orange county!